Never underestimate the power of simplicity. This statement is especially true when it comes to handlebars, as the classic two-piece design has never, and will never go out of style. Four piece bars, however, are a different story. Born in the freestylin' 80's, their moment in the sun has come and gone multiple times, but in 2016 they're just as popular as ever. In the past, some have used cute names to help move units, and others have added a few extra pieces in an effort to add strength or a unique look, but gimmicks like that never tend to last. Odyssey’s new 49er Bars are a testament to the idea that simple is better, with the combination of classic styling combined with their Odyssey's attention to detail that's sure to stand the test of time, unlike these bad boys. You would think that a name like "49er Bar" would be some sort of tribute to Joe Montana, but Odyssey's headquarters are nowhere near San Francisco and you won't find any copyright-infringing graphics here. Nope, the "49er" name should be easy to figure out – these things are built from 4 tubes, and are 9" tall. There's more to tell than just the basics, such as the post-weld heat-treated 4130 multi-butted tubing, large-radius grip tube bends for added strength, 7/8" crossbar and welded end caps for increased stiffness, and did we mention the color selection? There's the classic black, and, uhhh… black it is! What more do you need, really? Odyssey's 49er Bars can be purchased right this very moment from Dans Comp and all Odyssey retailers. All you need to do is pony up $79.99 and they're all yours. Not sure if the 49ers are right for you? 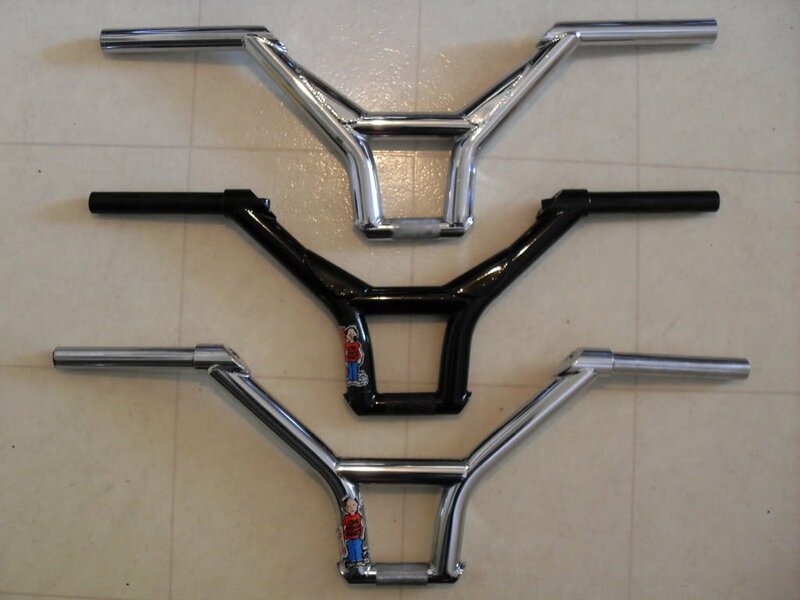 Head over to www.odysseybmx.com now for more info on these, and be sure to check out their fine selection of other handlebars, as they'll surely have the right specs to complete your steering column.